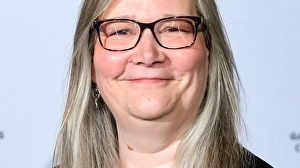 It’s been 30 years since Amy Hennig’s first game, Electrocop, and eight since she said goodbye to her most famous creation, Naughty Dog’s Uncharted series. Informed as much by vintage Hollywood adventure films as the likes of Gears of War, Uncharted is the acme for the gun-toting blockbuster with a human face. It’s a style of production with which Hennig, a former film student, is indelibly associated, though I’ll always reserve my love for her first turn as director, 1999’s Legacy of Kain: Soul Reaver. But as she herself admits, it’s a style of game that is becoming untenable, involving vast expense and many years of labour, in an industry that has never been more conscious of the unhealthy workplace practices that prop up some of its most beloved experiences. Hence, perhaps, the untimely demise of her last project, Visceral’s Star Wars game “Ragtag”, as publisher EA moved its business away from finite narratives and into the murky waters of the game-as-service. Hennig has spent the year and a half since leaving Visceral resting, catching up with family and meeting with potential partners. She has done some consultancy work at VR company The Void, and directed a volumetric video capture shoot for Intel. But she has also spent her absence from the limelight trying to make sense of what she calls “a time of massive change”. In a keynote discussion at last week’s Reboot Develop conference in Dubrovnik, Hennig spoke about looking beyond challenge, mastery and failstates as key criteria for game design. She is particularly enthused by real-time streaming platforms, suggesting that their promise of greater accessibility is an opportunity to fashion new genres for a broader audience. In the wake of her presentation, I sat down with Hennig to discuss all this, her time working on Star Wars, and whether the advent of real-time streaming is also an opportunity to change the way games are made. I was reading your USGamer interview in February, where you talked about not quite knowing where to aim yourself after leaving Visceral. You’re known for these big budget, photoreal narrative action-adventures, and those are hard to create when you’re not an EA or Sony. How are things going with that thought process? What should a World War look like?